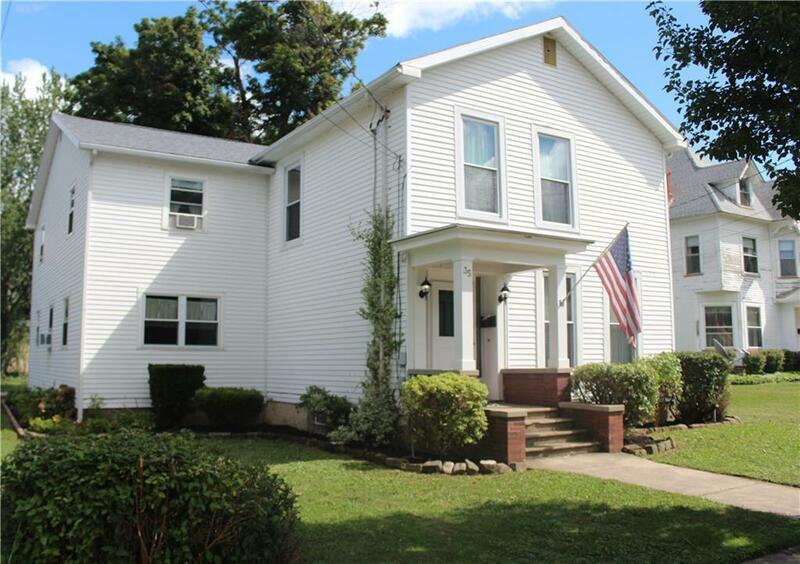 Spacious home on a corner lot in the Village of Westfield. Front foyer shows off the curved stair and glass paneled doors to the large living and dining rooms, with hardwood floors, natural woodwork and floor to ceiling windows. Living room has woodburning fireplace. Large eat-in kitchen has solid surface counters and ample cabinetry, as does the adjacent pantry room with first floor laundry and half bath. Beyond, you'll find a very large carpeted family room plus a 3 season room off the pantry. Upstairs, there are 5 bedrooms, including a very large master with full bath with skylights and accessible tub. A second full bath serves the other bedrooms. Stair glide negotiable. Newer roof, upgraded electric, zoned heat, upgraded windows. Security system, storage room, shed, too much to list!